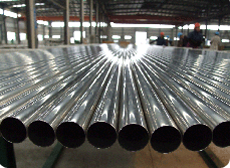 ■ Tubes are produced by cold drawing method to form internal spiral ribs with special geometry size. 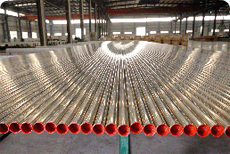 Finished Tubes shall be heat treated in atmosphere controlled furnace to achieve stable mechanical properties and good surface quality. ■ Application: Applied in manufacturing water cooled furnace of boilers in the electric station, eliminating steam film efficiently in inner walls of tubes, improving thermal efficiency of walls of boilers.